I am giving you the length of one trailer for Divergent to turn away from this review if you have not yet finished Allegiant or will never have any interest in reading the Divergent series. Seriously this is your last chance to turn away. 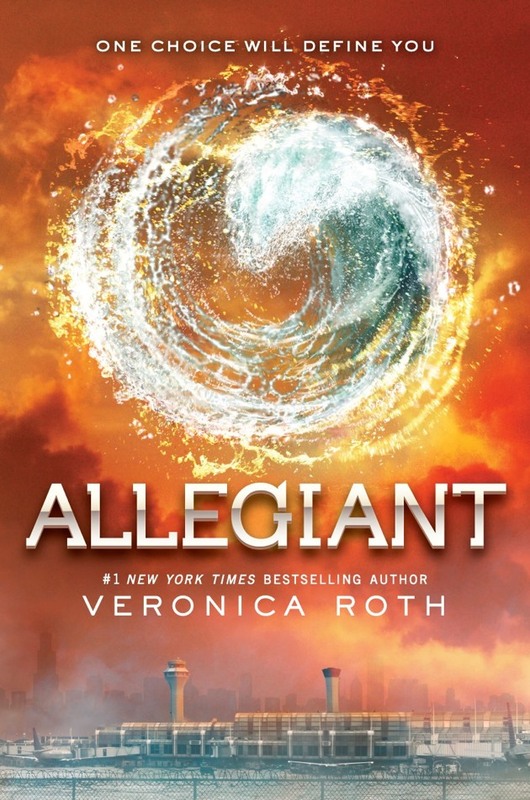 The third and final installment in Veronica Roth’s bestselling Divergent series, Allegiant, certainly takes the series out with a bang. The novel continues the intriguing dystopian conspiracies and nail-biting action sequences with the same deftness of its predecessors while furthering Roth’s social commentary on self-identity and society’s role in determining that identity. While the book is sure to thrill fans, it is not absent of flaws. The POV switch between Tris and Four was confusing, mainly due to a lack of distinction in voice between the two, the aforementioned social commentary caused the plot to plod a bit, and the religious allegories were also a bit too heavy-handed to make it feel trite. The ending will no doubt be polarizing. While I can respect that Roth was bold enough to make that move, it also seemed like she went out of her way to make it an even more bitter pill to swallow. Tris’ final assurances that she will survive this and combat the death serum felt especially cruel. If Roth killed off Tris as a way to show that war is ugly and there are many casualties, I can (try to) respect that, but a personal pet peeve is when writers write a plot point or line merely to be shocking. I would hate for that to be the case here. Now, it will prove very interesting to see whether Hollywood has the guts to keep that ending when the movie is eventually made, assuming the first film does well. In all honesty, I think there is much in this book that is worthwhile and important to think on and Roth is fantastic at character development, but I am sad to report that the conclusion left this reader feeling a bit dissatisfied. Veronica Roth. You evil saddistic murderer. HOW COULD YOU DO THIS TO ME?!! I will NEVER be able to read these books the same way again!! ARE YOU HAPPY?!!?!?! More importantly, HOW COULD YOU DO THIS TO FOUR?!! Hasn’t he been through enough?!?!?!?! Oh sorry about the child abuse Four, but unfortunately the one person who has been able to love you for all that you are had to die. WHAAAATTTT?!! Couldn’t you get a Erudite up in that business?!! Where’s that magic salve?! THIS IS THE FUTURE, PEOPLE!! Can’t we heal a few gunshots? GOSH! WHY CAN’T WE HEAL A FEW GUNSHOTS? And Uriah?!?!? Really?!?!? Was that necessary? Hey remember how Tris just died? Well, let’s just hop on over and pull the chord on your other friend? There’s a reason Harry Potter didn’t die, Veronica, and that’s because J.K. knew it would kill me inside. Me personally. So, yeah. I’m still not sure how I feel about this one. Does anyone care to talk me off the ledge?